Welcome to the future of hiring. Blue Signal specializes in your most valuable resource: talent. Blue Signal is a top recruiting firm specializing in executive placement for industry leaders. Employees are a company’s most important asset. Our experienced staffing team helps you invest in the right people. We work around the globe and around the clock to match the right candidates to the right job. Why Recruit with Blue Signal? 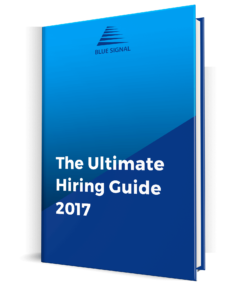 "How to Speed up a Hiring Cycle by 50% or More"
Whether you’re expanding your team or looking to make a career move, Blue Signal can help. Set up a free consultation with a recruiting manager.